I don’t fly in my dreams: I float through narrow trails of snow. My meditation is a clean S-curve carved into powder, weaving through white woods of hemlocks and firs. An early winter daydream finds me on a cat track, traversing endless snowy bowls, the contours of the steep mountainside indistinguishable in the blinding white. Like all skiers who live in the Lowcountry, realizing this dream takes travel. North Carolina’s ski resorts are just a five-hour drive away, but for real snow—the kind that makes you feel weightless and fully alive—you have to go West. For years, the most convenient trip entailed a flight to Denver, an expensive SUV rental, a drive on I-70, and, if you were lucky enough to catch a powder day, plenty of company on the hill from the city of three million people just down the mountain: imagine the scene at the Washout on a clean, chest-high day of waves—times 10,000. Now, thanks to Alaska Airlines’ nonstop flight to Seattle, snow-hungry Charlestonians have easy access to the Pacific Northwest and some of North America’s best skiing. 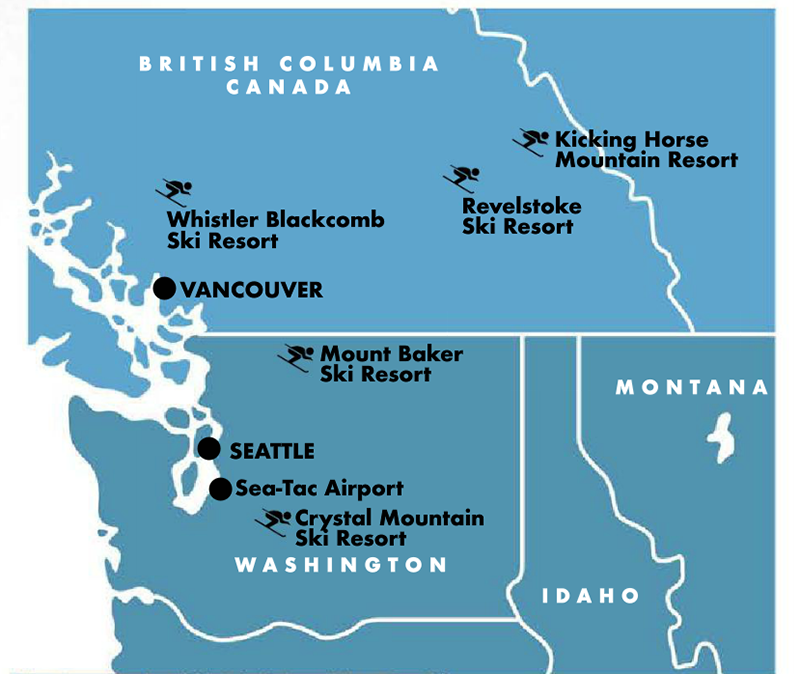 That includes the mom-and-pop Washington State mountains Crystal and Baker—small, independent hills leased from the federal government and surrounded by national forest—which offer the best skiing for the money on the continent. 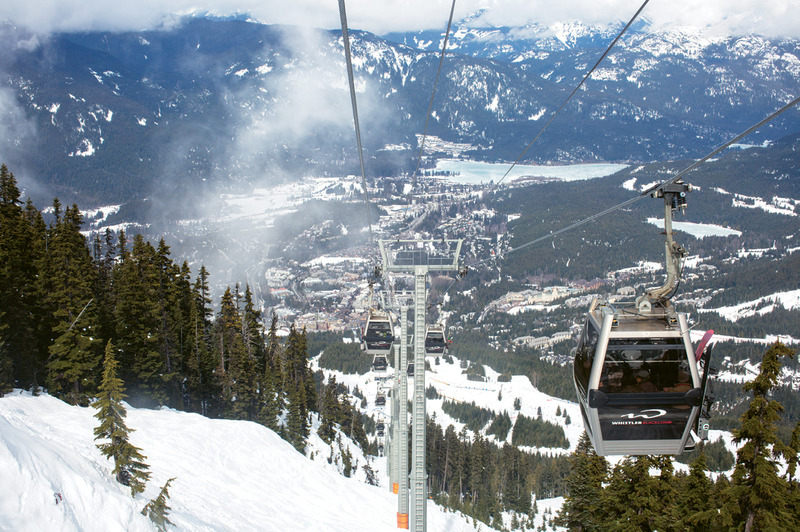 Then there’s the standard-bearer, (Vail Resorts-owned) Whistler Blackcomb in British Columbia, a gorgeous half-day drive from Seattle, so massive that it’s easy to never take the same route twice in a full week of skiing. 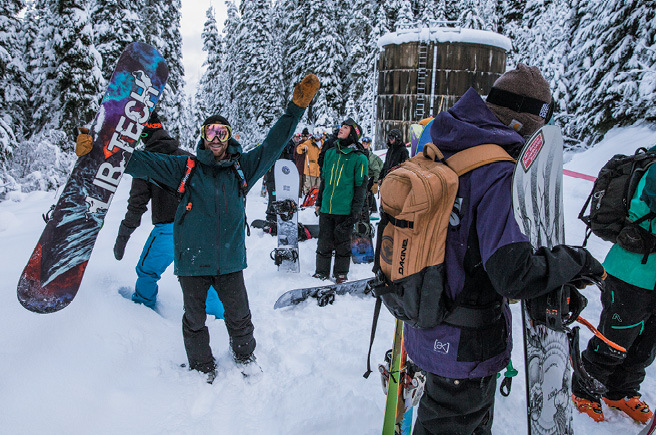 The ambitious can even extend their journey to Revelstoke and Kicking Horse in BC’s interior, where the lift-accessible terrain rivals any resort in the Alps. It’s a direct flight, but it’s still a long six hours. Lest you feel too far from home, Pacific Northwesterners—in Washington State and across the border in BC—possess an innate hospitality that Charlestonians will appreciate. These are not the “me-first” lift lines at a crowded New England mountain. Whether you’re traveling with family or skiing alone, chances are you’ll make conversation on the lift and be grateful for the local knowledge as you dip into a thrilling tree run you’d never have found without guidance. 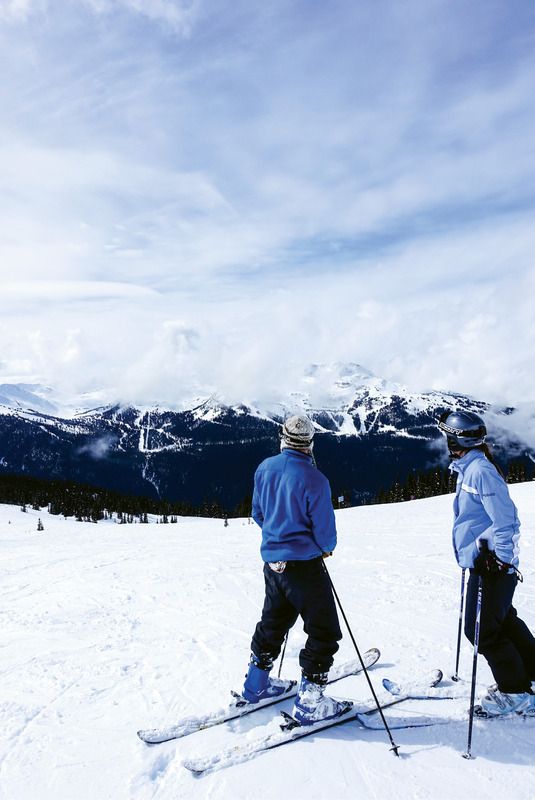 (Left to right) Charleston-born Hank Rudolph V and a friend stand atop a run on Blackcomb Peak and take in the view of Whistler Mountain across the valley, accessible by an awe-inspiring gondola ride; Whistler Blackcomb’s amenities are first class, from the high-speed gondola to the base village with its dozens of restaurants and après-ski bars in walking distance of the ski-in town center. 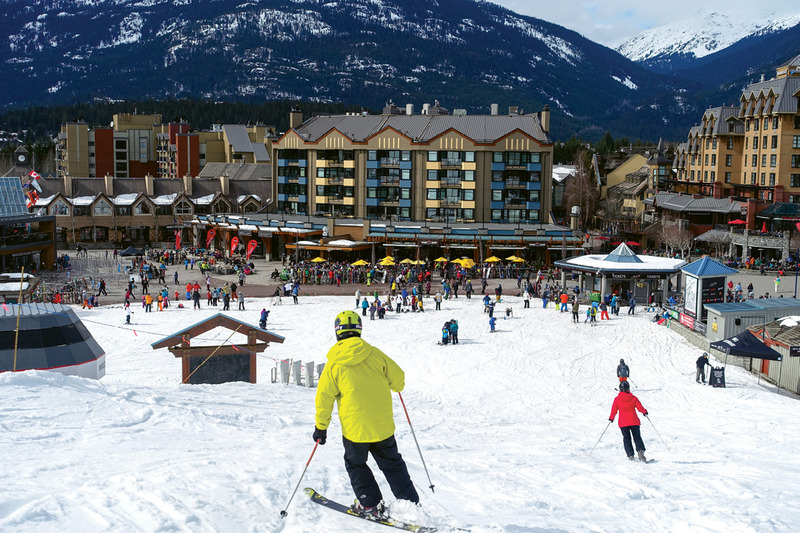 Every child should get to experience Disney World, and every adult skier should go to Whistler. 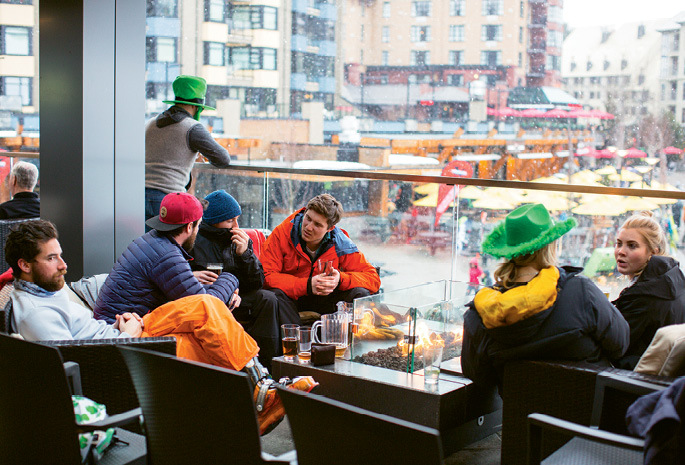 The central village is a melting pot of smiling international faces: The servers and “lifties” are Australian; the family on the gondola is Italian; and on St. Patty’s Day, the man in line at the lunch counter is just in from Dublin. That come-all vibe existed before the 2010 Winter Olympics, but since those Games, Whistler’s reputation across the world has exploded. For an American, the combination of an easily accessible international destination and some of the world’s best snow make it an obvious choice. Imagine a day skiing at Sugar or Beech Mountain in North Carolina. You ride the lift to the top. You do it again. There are two, maybe three ways down the mountain. By lunchtime, you’ve covered every inch, at least twice. Time to go tubing or sit in the hot tub, right? 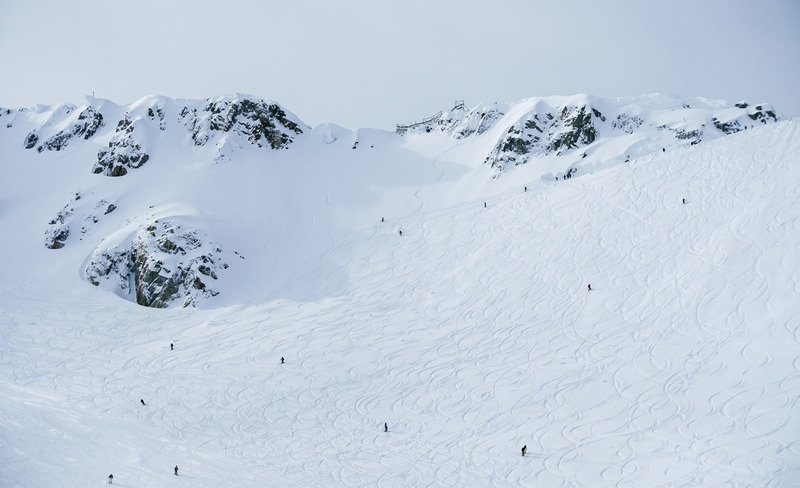 Whistler is 65 times the size of Sugar Mountain. It has slopes facing every direction, and every type of snow. “It takes a few seasons to feel like you really know your way around the mountain,” said one off-duty employee during a shared lift ride. That’s seasons. Not days. 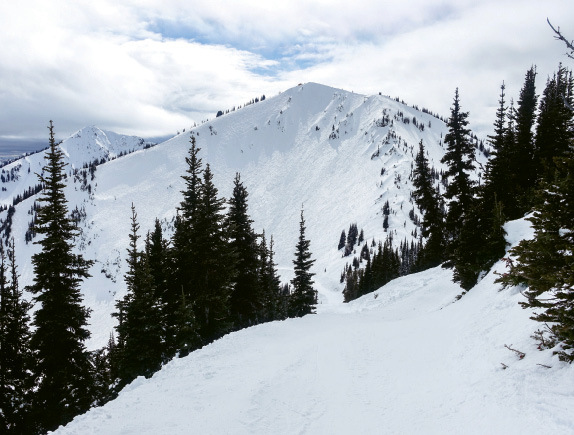 Sure, after a few days, you might figure out a tree run you can manage or the traverse out to a consistently soft, untouched powder bowl, but with more than 8,000 skiable acres, you’re only scratching the surface. 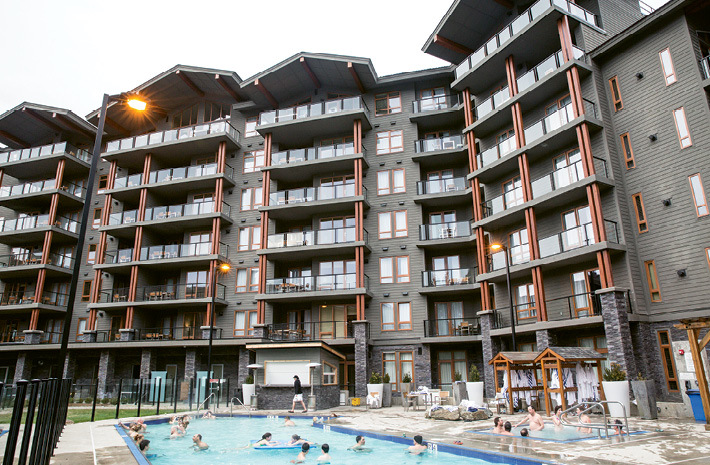 Off the mountain, the village boasts a vibrant local culture, with first-class amenities like the Hilton Whistler hotel and its inviting heated pool and hot tubs. 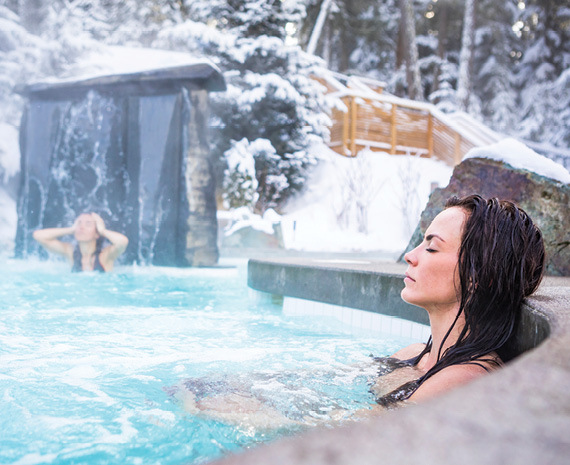 If a fellow traveler doesn’t ski, he or she can spend days riding the gondola to the peak for lunch and soaring views, then head to the indulgent Scandinave Spa Whistler for a sauna, soak, and massage before the après-ski crowd shows up. 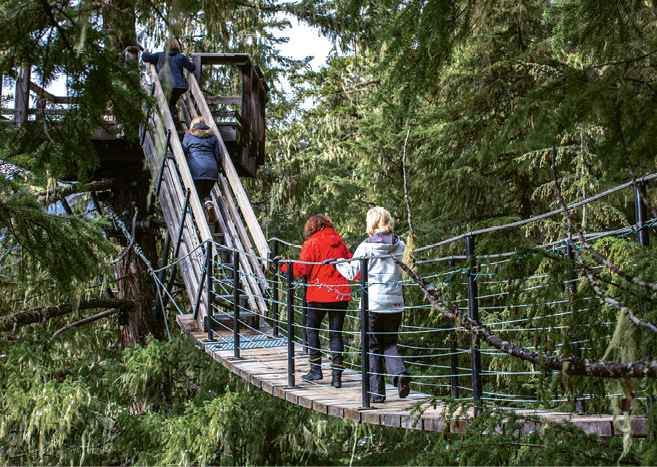 Even ski-focused families should leave time for side adventures like Ziptrek Ecotours, offering ziplines and traverses across rope bridges that span Whistler’s valleys. 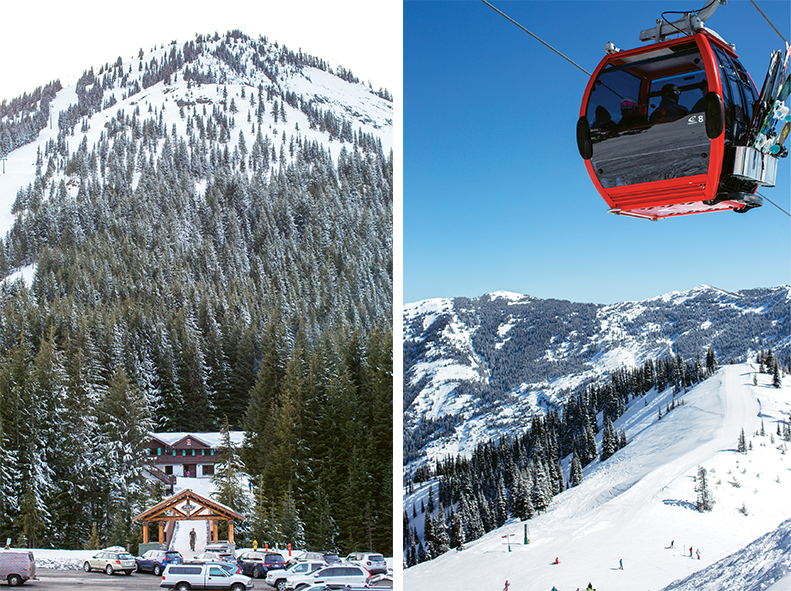 Crystal Mountain may be a Washington State locals’ resort, but its slopes could make any East Coast mountain blush. 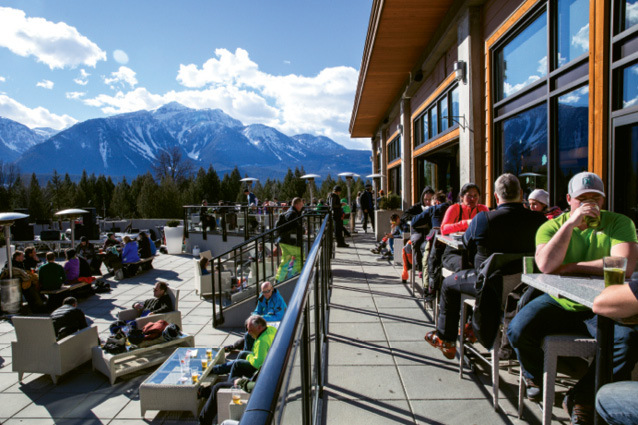 The base village is pure Bavarian kitsch, with modernist nods like thoughtful vegetarian fare; The comfortable gondola is as fancy as Crystal Mountain gets. The runs are steep and thrilling, and the after-hours scene feels like stepping into the best of ski culture from a bygone era. 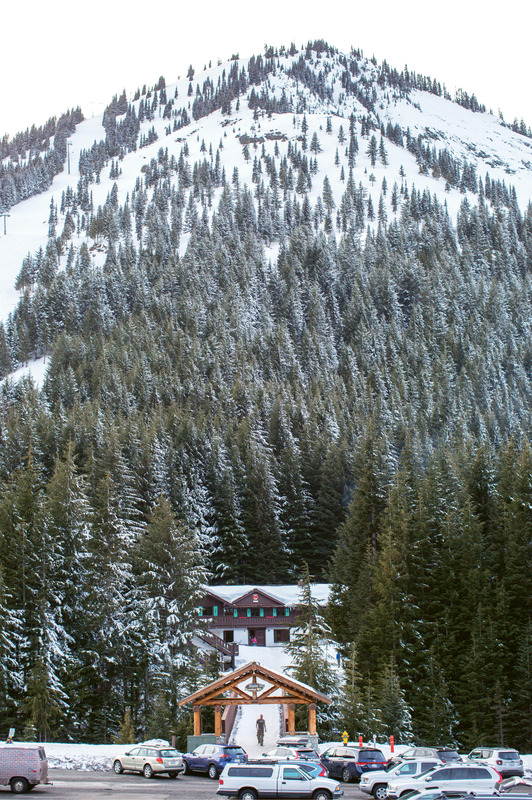 Directly adjacent to Mount Rainier National Park in the Cascade Range, Crystal is the home mountain for Seattle skiers calling in sick on a powder day. It’s less than two hours from the city, but a world apart. Crystal is a place that’s better than it has to be. 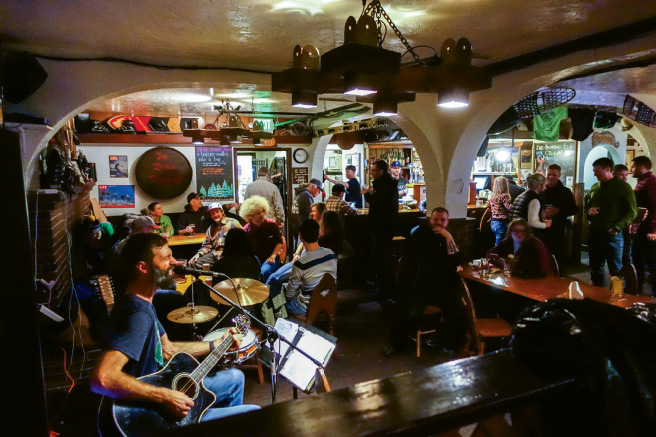 The Hungarian goulash and seared tempeh curry with local broccolini on the menu at the Bavarian-inspired Alpine Inn are the first clues that Crystal’s mountainside concessions aren’t simply phoning it in. 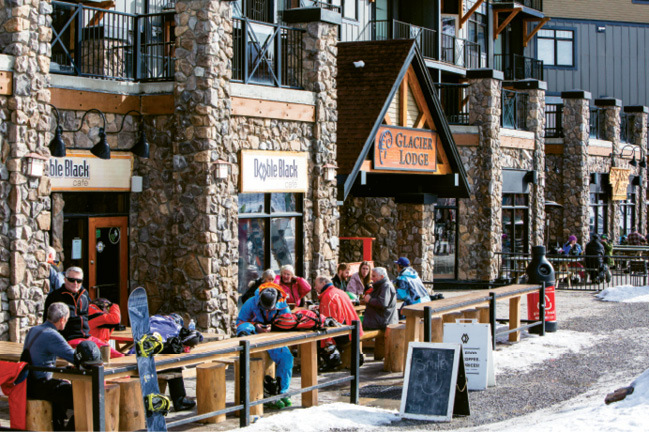 When you’re the only restaurant within a half hour of a ski mountain, you could rake in profits with $20 third-rate burgers. But that simply wouldn’t feel right to Dee Patterson, the resort’s general manager and a native of Sullivan’s Island. After graduating from Coastal Carolina in 1992, he landed in Seattle at a job with Starbucks. His beach-bred approach—honed by his surfing and skating days as a youth in Mount Pleasant—has helped propel Crystal forward without stealing its charm. “The first day I came here, I fell in love and never wanted to leave,” says Patterson, who has worked at Crystal for 21 years and raised two children there. 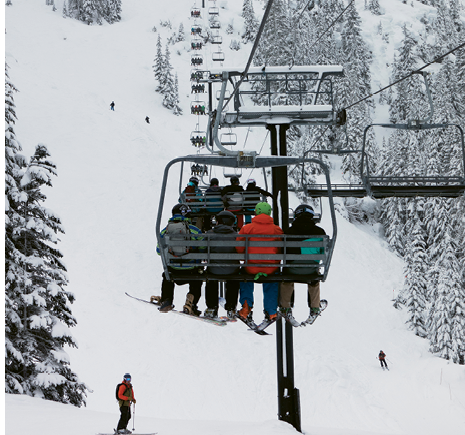 Preserved with Patterson’s guiding vision, Crystal Mountain still feels like stepping into a ’70s golden era of skiing, despite its status as the largest ski mountain in Washington State, an easy two-hour commute from Seattle. The rooms are simple and dated, but clean, affordably priced, and plenty comfortable for recuperating after a full day of shredding powder in the shadow of Mount Rainier. 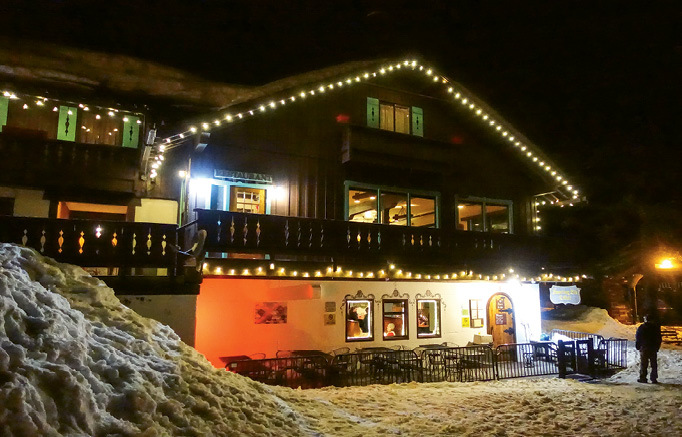 Evenings are spent imbibing at the Snorting Elk Cellar below the Alpine Inn, where shots of whiskey are taken collectively from a long wooden ski, and the mix of locals and visitors strikes a perfect welcoming balance. 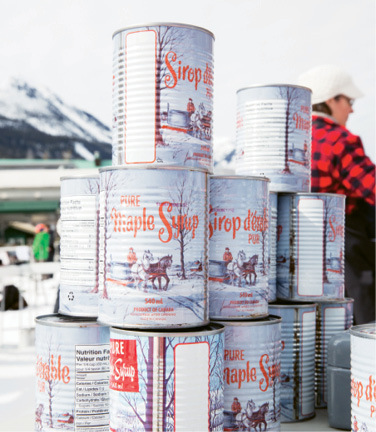 “We’re a local, day-trip drive-up mountain,” says Tiana Anderson, Crystal’s director of sales and marketing. 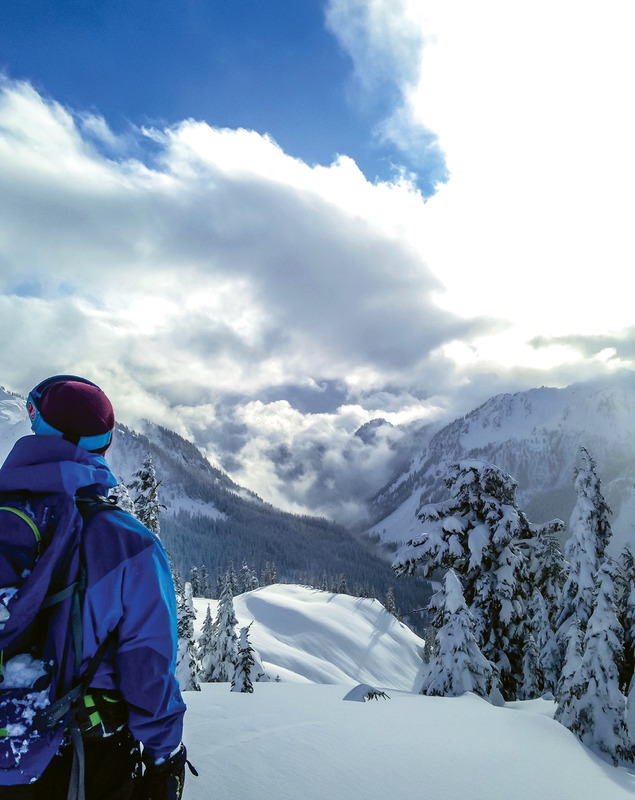 “We don’t get a lot of people from other states.” But the neighborhood mountain in Washington still boasts a level of skiing that even the biggest New England resorts can barely rival. 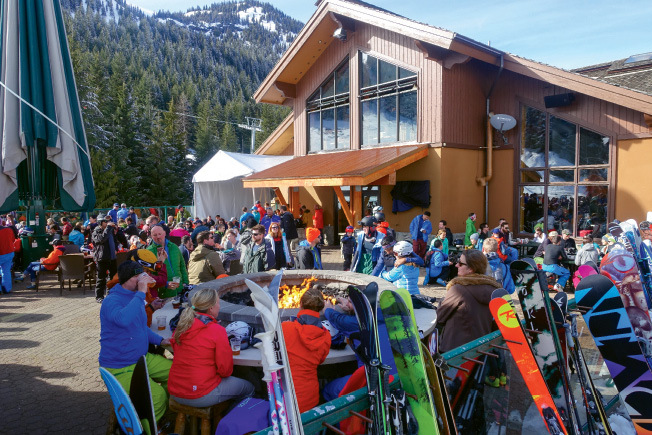 Add the West Coast champagne powder to the mix and Rainier towering overhead at 14,000 feet, and what’s just a local resort to some becomes a worthy destination for savvy ski travelers. On our last full day, we finally got clear blue skies, blinding bright sun, and vistas for miles. “It’s a five-volcano day,” said one skier sharing a gondola, referring to the string of mountains—St. Helens, Adams, Rainier, Hood, Baker—on the horizon. 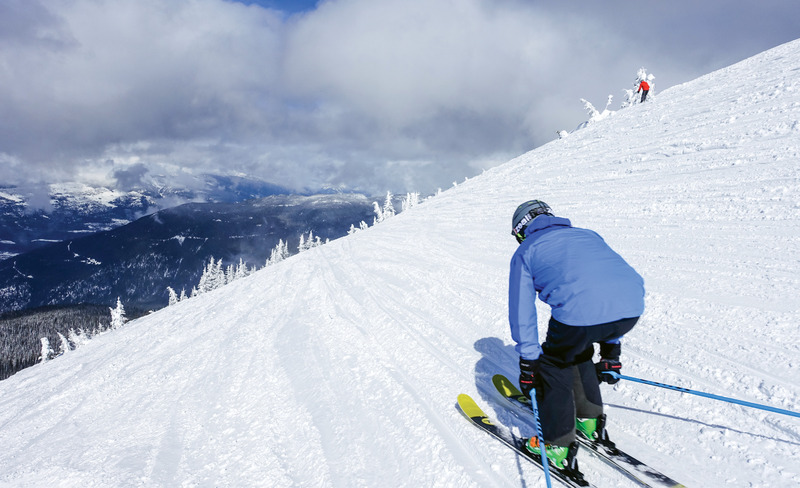 (Left to right) Snowboarders love the wild terrain; The old-school chair lift; Mount Baker is a true locals’ ski mountain, but they’ll make you feel welcome if you’re willing to trek through the rainforest from Bellingham to these legendary steep slopes with famously soft snow. 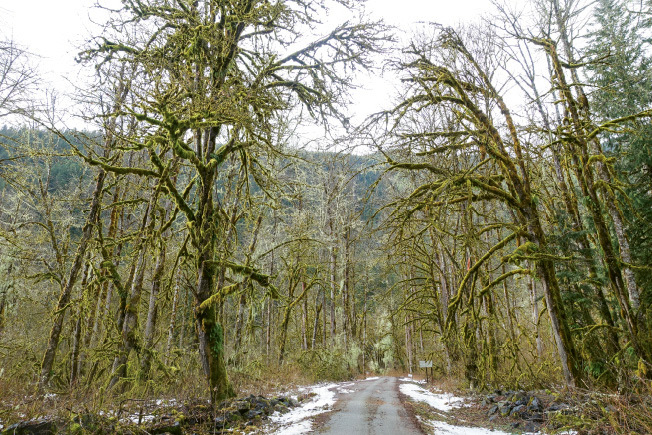 On the drive to Baker, 130 miles north of Seattle and just south of the Canadian border, you won’t see rows of condos or be tempted by roadside Starbucks, but you will navigate a rainforest corridor of moss-draped green trees. Close to the resort, you’ll twist through a bobsled track of a road with snow piling ever higher in the shoulder before pulling into an unadorned gravel lot that looks like the parking at a North Carolina ski mountain. But the similarities stop there. Missing are the hordes of blue jean-clad first-timers, falling over themselves on the bunny slopes. 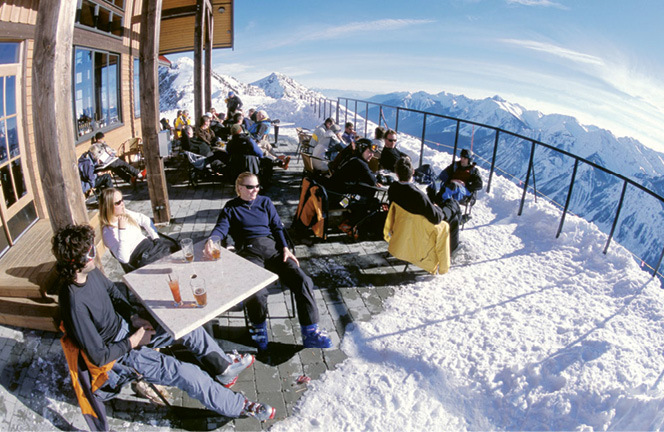 They’re replaced by skilled, amiable locals who are happy to point you toward a mellow tree run or a hidden powder stash. And the reasonable lift ticket pricing ($62 for an adult day ticket); 2,000-plus-foot runs; deep, fluffy snow; and staggering Alpine vistas will spoil you on skiing in the Southeast forever. Fortunately, that’s finally okay, because it’s arguably easier and just as affordable to ski at Baker or Crystal for a long weekend as it is to drive the family to Boone, rent a chalet, and buy lift tickets to ski on man-made snow. 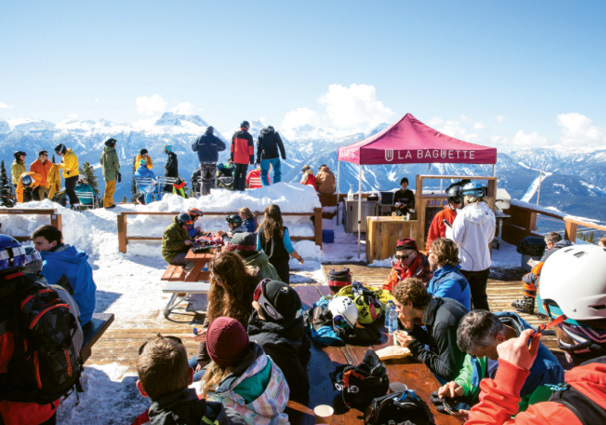 It’s easy to see why serious skiers flock to the heart of British Columbia: The town of Revelstoke is as wild and welcoming as its unlikely name. 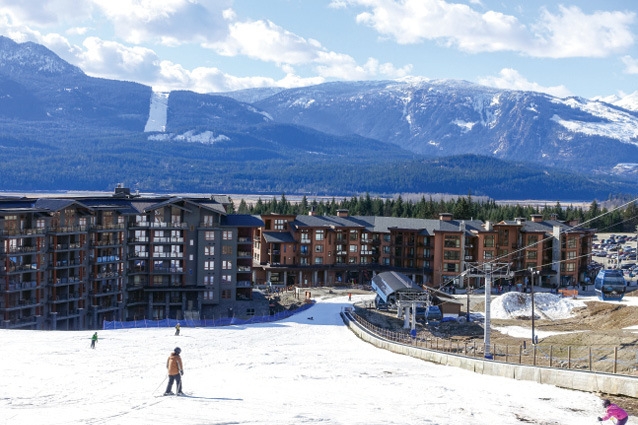 If Revelstoke were easier to get to, you would have already heard of it. But just because there’s no direct flight from New York—or from anywhere—to the ski mountain doesn’t mean it’s not worth the effort. It’s seven hours by car to Revelstoke from Seattle, and another two to Kicking Horse, but even the drive itself, through staggeringly high Columbia Mountain peaks, is a worthy vacation. You can learn a lot on a chairlift at a ski resort—secret powder stashes; tree runs only known by the locals; or simple, resonant insight on the present moment. My first day at Revelstoke was revelatory: among personal favorites like Big Sky, Jackson Hole, and Sun Valley, I immediately felt that this was the best place I’d ever skied. So when an old-timer from Vancouver, on his first day at “Revy,” said on the lift, “This reminds me of Whistler, 50 years ago,” I took that to heart. I’d picked the right spot. 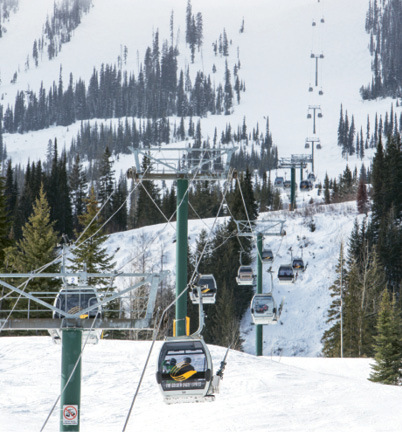 Opened in 2007, Revelstoke Mountain Resort has a fairly solid statistic to convince visitors to make the arduous trek to its slopes—at 5,620 feet of elevation change between the top of the highest lift and the base area at the bottom of the mountain, Revelstoke boasts the largest vertical relief of any ski mountain in North America. But it’s not simply the massive scale of the mountain and the opportunity for 15-minute runs that draw skiers and snowboarders from around the world—it’s the champagne powder that sticks to the mountain in a dense pillow. 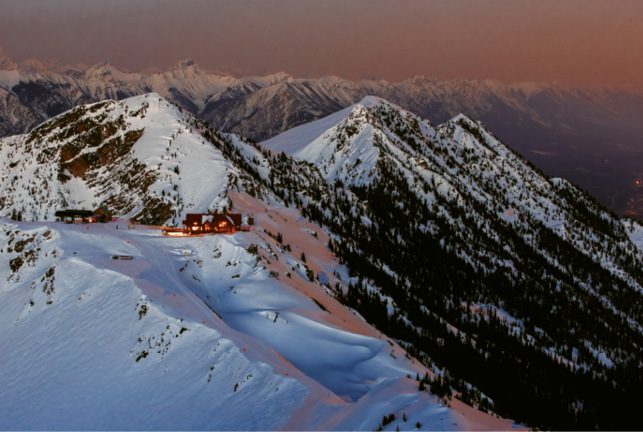 Whereas Revelstoke’s deep bowls and thickly forested mountainsides make for exciting Alpine skiing, nearby Kicking Horse sports a wide-open mountain face, mostly devoid of trees but with dozens of steep, challenging routes and chutes. It’s the type of terrain that typically requires a snowcat or even a helicopter to access, but it’s reachable here via gondola and a traverse along Kicking Horse’s razor-thin ridge. Of course, the joy of the ride starts with what’s under your skis, and there’s no other North American snow with quite the loft and endurance as British Columbian powder. 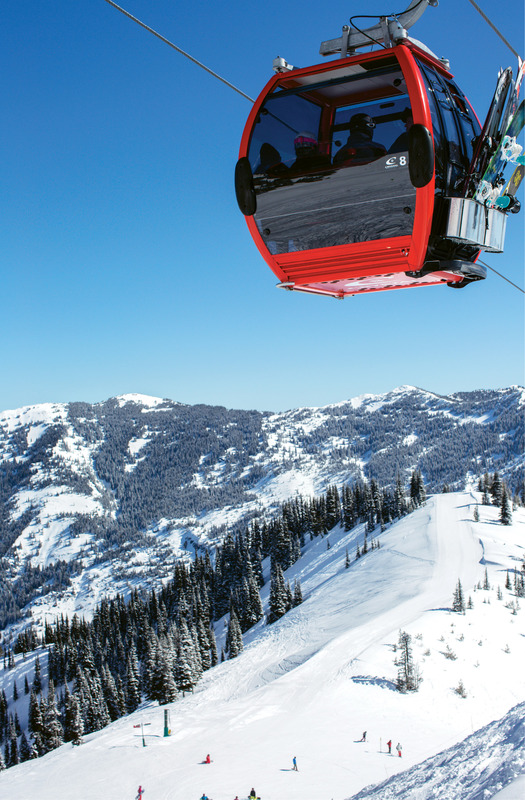 Kicking Horse has a few green runs, but its the gondola-accessible high Alpine terrain that make this mountain a hard-to-reach but worthy destination in central BC. Alaska Airlines’ direct flight to Seattle-Tacoma International Airport (aka Sea-Tac) takes about six hours. From there, it’s an incredibly scenic four-hour drive to Whistler, with Vancouver serving as a welcome way point. 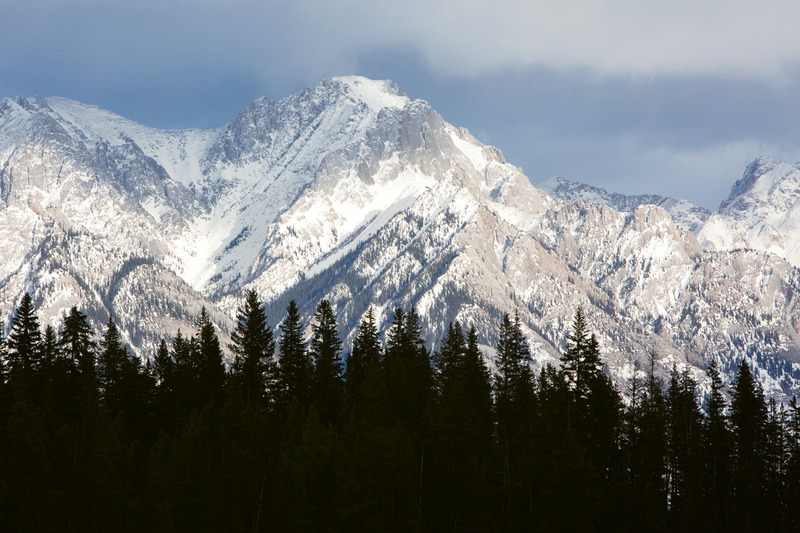 Crystal and Baker mountains make perfect bookends for a comprehensive ski tour. Although the road to Whistler is generally safe for any type of car—and is cleared quickly after a fresh snowfall—each of the other mountains discussed here may require chains, snow tires, or all-wheel drive in winter conditions (especially if navigating Canadian Highway 1 across the interior to Revelstoke and Kicking Horse). You’re here for snow—and hoping for more of it—so be prepared and select a vehicle that will get you there safely and in time to make fresh tracks on the morning’s first chairlift. Alaska Airlines’ nonstop flights from Charleston to Seattle run five days a week (no flights on Tuesdays and Saturdays) and average $350 round trip. 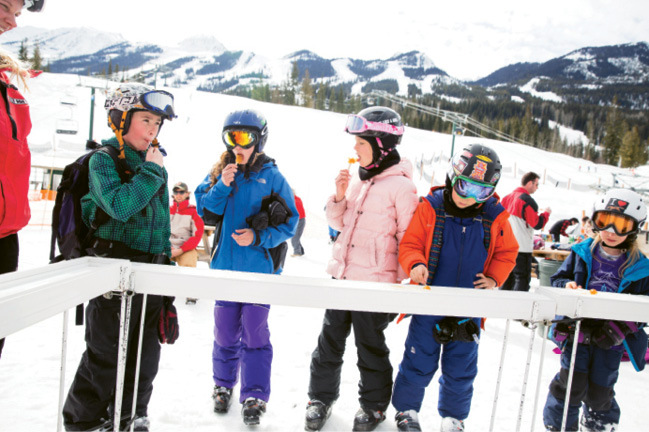 From Seattle, there are options for any skier’s appetite: Whistler is the Dagwood sandwich, piled high with everything you could ever want for an all-inclusive family vacation. Mount Baker is the perfect old-school grilled cheese, simple and browned to perfection, no updates required. Crystal Mountain is a veggie Reuben, cooked with care to satisfy classic tastes with conscientious ingredients. 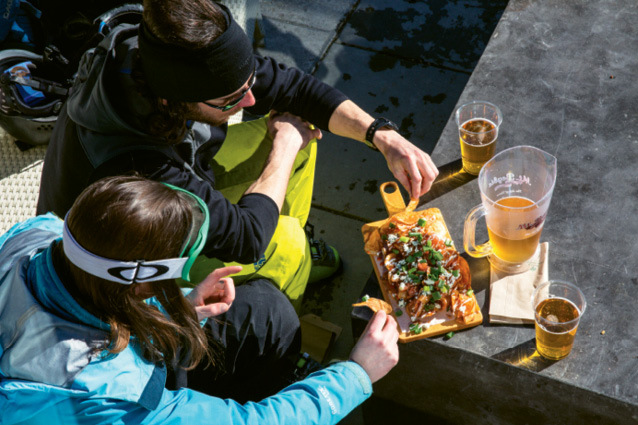 Revelstoke and Kicking Horse are piles of gravy-and-cheese-soaked Canadian poutine—overwhelming in scale and delectable in every way. Give yourself time to sample them all, or dive in for an easy long weekend that leaves you hungry for more. 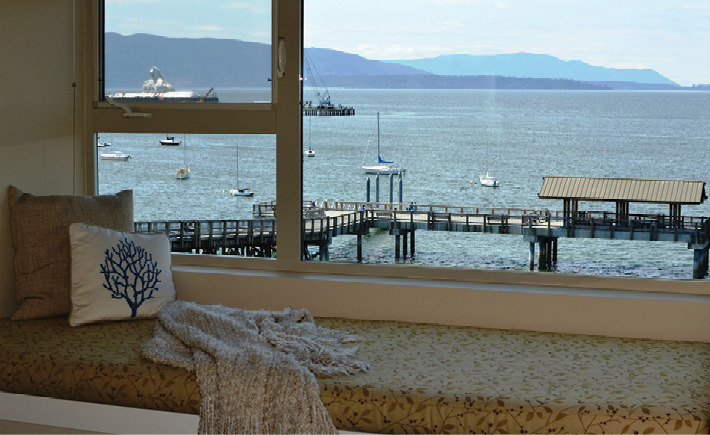 • One day: Ski Mount Baker and spend the night in Bellingham, Washington. 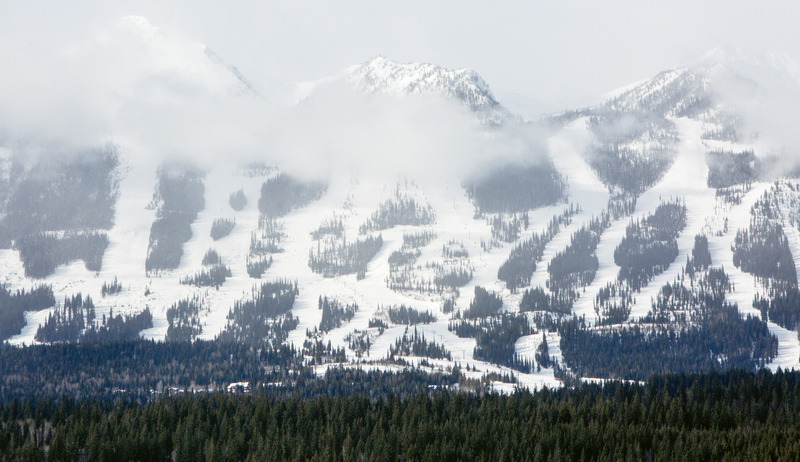 • Three days: Ski one day at Baker and two full days at Crystal Mountain (stay at the resort for the full Snorting Elk Cellar experience). 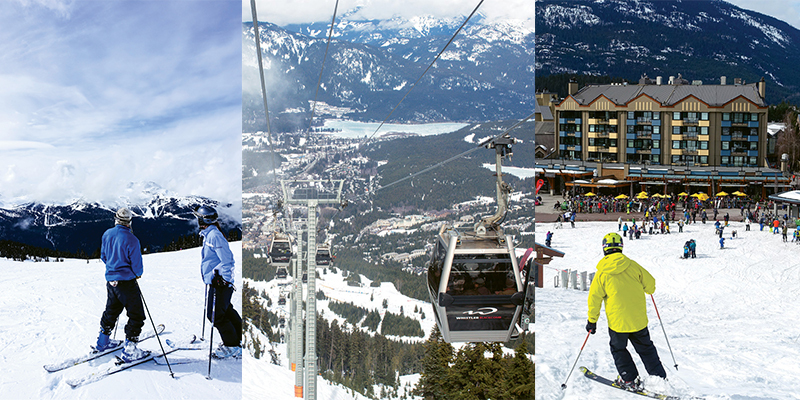 • One week: Ski Whistler Blackcomb for four days, sandwiching a night at Crystal and Baker on each end of the trip. 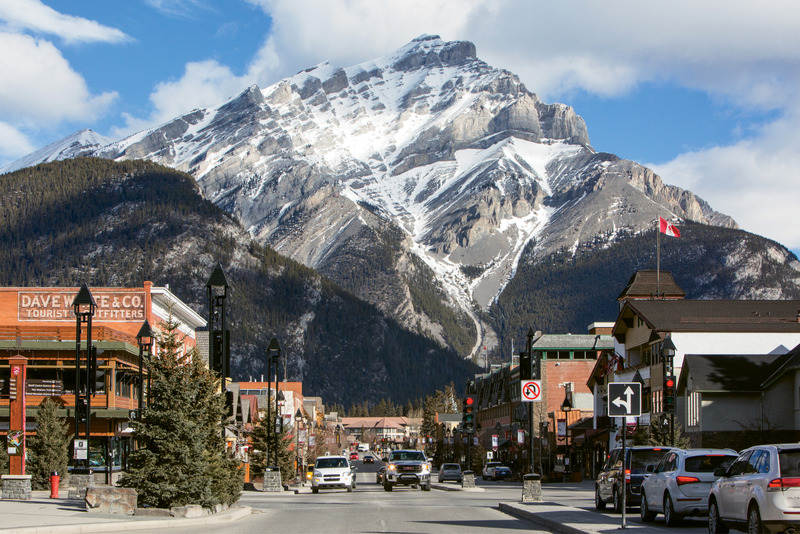 • Two weeks: Add three days at Revelstoke and two days at Kicking Horse (which can also be reached by car via Calgary, where you can tack on a night at one of Banff’s more touristy but stunning ski resorts, Lake Louise and Sunshine).